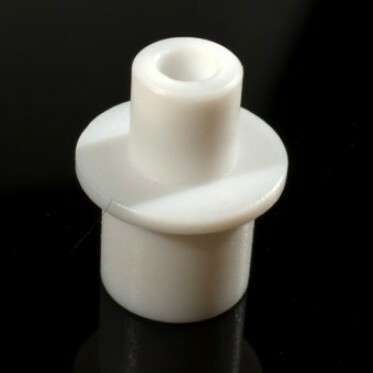 This is a high quality PTFE-PFA adapter for isolating the heat generated from the heater block of a 3D printer's extruder. PTFE(polytetrafluoroethylene) is a use of fluorinated polyethylene all hydrogen atoms of the synthetic polymer material. In atomic energy, defense, aerospace, electronics, chemical and other industries it is widely used as high temperature resistance, corrosion-resistant materials, insulation materials, non-stick coating.